The anti tobacco movement is reaching new heights of audacity in their desire to curb personal freedom and turn law abiding citizens into criminals. As this newspaper article from the future shows, I will not go quietly. Residents of a quiet Boston neighborhood were stunned to learn of the arrest and imprisonment of Stephen Smith, an elderly neighbor, on charges of tobacco possession. Neighbors expressed shock and dismay at the news that this seemingly respectable senior citizen had, in fact, been a secret tobacco user for many years. Neighbors became suspicious when they noticed an odd smell eminating from his pipe one day. Apparently Smith had devised a clever scheme to hide his tobacco use, mixing judicious amounts of the illegal leaf with the high quality marijuana he was often seen smoking in his beloved briar pipes. According to sources, he had been stockpiling tobacco for several years prior to its outlawing in 2013, the same year marijuana was legalized by then president Nancy Pelosi as her first act in office. 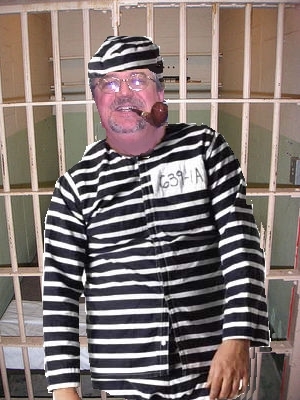 If convicted, Smith, given his advanced age, would probably be able to avoid a lengthy prison sentence by voluntarily enrolling in a tobacco re-education program and remaining tobacco free thereafter. He would also have to register with the police as a Level 3 tobacco user, and avoid all contact with children. He would still, of course, be permitted to smoke as much pure marijuana as he likes. I love smoking. There, I said it. It takes a certain amount of testicular fortitude to say this nowadays, but it’s just so liberating to say it out loud! I think I’ll say it again: I adore smoking! To me, smoking a pipe or a cigar is one of life’s great pleasures, akin to a fine whiskey or wine, or a nice cup of coffee or tea. My fascination with the pipe goes back to my childhood, when “The Adventures of Sherlock Holmes” and “The Lord of the Rings” were among my favorite reading. 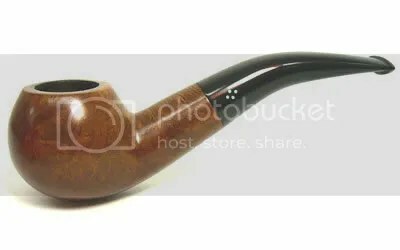 Whenever I fill my pipe–perhaps a Sasieni made back in the 1920’s out of briar that was 100 years old back then–with a fine matured Virginia, sit back, light up, see the ember glowing in the bowl, and taste the exquisite flavor, my mind and soul find peace. There really is nothing to compare to the taste of the Virginia, the feel of the warm briar in my hand, and the visual beauty of the finely grained wood. They all combine into one of the most satisfying sensory experiences known to man. And yet, because I indulge in this pleasurable and completely legal activity, I am basically one step above a child molester in the eyes of the politically correct. In fact, I’m not sure that the child molesters are not held in higher esteem in those quarters. The ridiculous extremes that the anti-smoking movement has come to is best illustrated by the case of Scott Rodrigues, an employee of the Scots company who was fired, not for smoking on company time, but simply for being a smoker. This sad story can be read here. Of course, this should come as no surprise, as the Scotts company is run by a martinet named Jim Hagedorn. Scotts employees are urged to take exhaustive health-risk assessments. Those who refuse pay $40 a month more in premiums for their group health insurance. Using data-mining software, company analysts scour the physical, mental, and family health histories of nearly every employee and cross-reference that information with insurance-claims data. Health coaches identify which employees are at moderate to high risk. All of them are assigned a health coach who draws up an action plan. Those who don’t comply get whacked for another $67 a month. This is an unconscionable invasion of privacy. Some argue that smoking drives up health care costs, and that is no doubt true. So do a lot of things. But the only ones who get fired are the smokers. Not the drinkers, not the overweight, not the reckless drivers. Just the smokers. If one is going to argue that health care costs should be the sole yardstick for social policy, then one could logically argue in favor of prohibiting any woman over the age of 40 from conceiving a child, since beyond that age the chances of having a high risk (and therefore, very costly) pregnancy increase exponentially. Clearly, no one is advocating such an odious policy, at least not yet. 28 States have passed laws prohibiting the firing of smokers just for being smokers, but sadly Massachusetts is not one of them. So I was pleasantly surprised to find this article in the normally liberal Boston Globe. The author, Alex Beam, has a history of being a little out of step with his liberal employers, which is, of course, why I like him. I’m just amazed he’s managed to keep his job this long. I was so impressed with this article that I have added a link to Dr. Siegal’s blog over there on the right. Just click the blue caduceus to read how one brave physician is putting his career on the line by standing up to the politically correct anti-smoking radicals. Now, without further ado, I am going to shut off this blasted computer, fill my Sasieni Four Dot (that’s a pipe, for the uninitiated) with Dunhill Aperitif, fill a glass with Old Bushmill’s, and continue reading my Conan Doyle. Well, if I don’t do it, no one else will. As usual, I put this off to the last minute, but since there’s still 27 minutes left in my birthday I suppose it’s still valid. I admit that I still take a childish delight in celebrating my birthday, and today I had even better reason to celebrate than usual. I’m 45 today, and it’s the best birthday I’ve had in years. I spent the day with my son, newly returned from Iraq. We went into Boston, had lunch at Smith & Wollensky’s (no relation, unfortunately) and walked around town in the brisk afternoon air. The sky was clear blue, the sun was bright; it was a glorious day. I found myself wondering what had become of the harum-scarum teenager I had so often quarreled with in the past. I was enjoying the company of this articulate, interesting young man. I felt like I was meeting him for the first time. And then he pulled a fast one on me. He insisted we visit the pipe and cigar store where I work. He had taken it into his head that he was going to buy me a pipe for my birthday. I tried telling him that simply having home safe and sound and spending my birthday with him was enough. But you know the old saying about apples and trees, and he is at least as stubborn as I am. And besides, I like getting new pipes. We went into the shop, and he told me to pick one out. “Surprise me”, I said. So he did. Boy, did he surprise me. The pipe he picked out is pictured at the top of this post. It’s a Ferndown, a beautiful handmade pipe from England. I was totally blown away. Life is full of irony. A year ago, he called me on my birthday from Indiana to tell me that he was shipping out to Iraq. Now, a year later, he arrived home the day before my birthday in time to spend it with me. Sometimes, once in a very great while, life plays fair. I will cherish this pipe for the rest of my life, but I will cherish the memory of this day even more. My son is home. Well, I thought I was done with Gerald Ford, but I came across this picture and couldn’t resist. Much has been written by now about how Ford was an under-rated president, as well as a thoroughly decent human being. What hasn’t been mentioned all that much is that he was, like myself, a dedicated pipe smoker. I’ve always felt an affinity for this particular president, even long before I knew he was a fellow pipe smoker. When I did find out that he smoked a pipe, it all made sense to me. I love this picture. 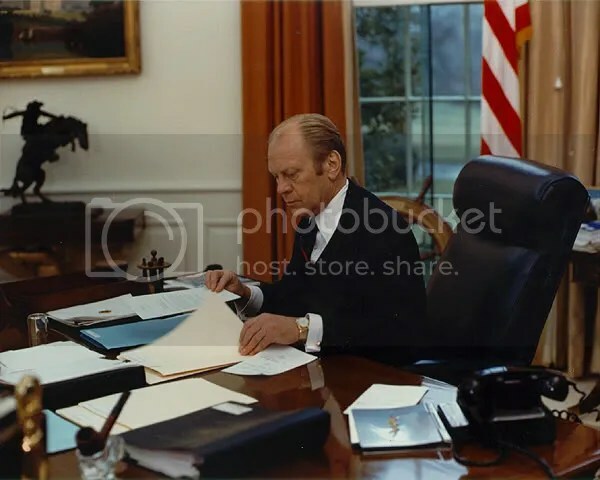 At first glance, it’s just a picture of a United States President sitting in the Oval Office, looking, well, presidential. But if you look a little closer, you will see that Ford, like all pipe smokers, littered his environment with the accoutrements of his favored mode of smoking. In the foreground there is a pipe sitting in what appears to be a crystal pipe holder. In the background you will see a pipe rack with three pipes, in close proximity to the presidential hand. (No pipe smoker has only one pipe. Just trust me on this one.) No doubt there is a tobacco jar close by. All of this might seem a little bewildering to the non-smoker, but to a fellow pipe smoker it makes perfect sense. You can always tell the home or office of a pipe smoker, as he (or she) is always careful to have at least a few pipes near at hand. They usually form a part of the decor. They certainly do in my house. It is no coincidence that in his presidential portrait, Ford is holding a pipe. To the pipe smoker, the pipe is no mere means of imbibing tobacco smoke; it is a means of self expression. Even in these politically correct times, the pipe conjures up pleasant images in the minds of most people. Somehow pipe smokers get a bit of a free pass that cigarette smokers do not enjoy. Most people have memories of a beloved grandfather smoking his pipe, memories which are brought back to the fore whenever the aroma of pipe tobacco is encountered. In many people’s minds the pipe conjures up images of a safer, less threatening world. Reassuring figures such as Sherlock Holmes, Dr. Watson, Inspector Maigret, or even Gandalph and Aragorn are asssociated with the pipe. As the man who restored America’s faith in the presidency, our last pipe smoking president surely belongs in such company. 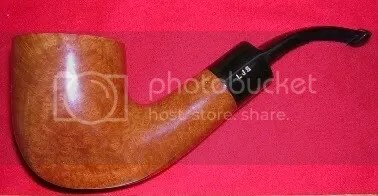 In 1996, I published an article on Sasieni pipes in a now sadly defunct little magazine known as Pipe Friendly, and later republished it in slightly revised form in another magazine known as Pipes and Tobacco, which, I’m glad to say, is still going strong. I’ve been a pipe smoker and collector for many years, with Sasieni pipes being my specialty. While I realize that and two bucks will get me a cup of coffee, I thought I may as well include the article on my own blog, if for no other reason than the article seems to be all over the Internet anyway. You can read it here. At some point in the future I intend to photograph my collection (about 100 or so pipes) and post them on another page. This is only going to interest you if you are into pipe smoking and/or pipe collecting. If not, you’ll probably want to skip down to the very amusing post on suicide bombers. This was something I wrote a few years ago and posted on a Usenet group known as alt.smokers.pipes (yes, I am an ardent pipe smoker, have I mentioned that yet?) The idea was to lampoon the Dunhill brand, whose adherents border on the fanatical in their loyalty to this brand. Nowadays Dunhill is more well known to the general public for its lines clothing and fashion accessories, so that many people don’t realize that Dunhill was begun as a tobacconist (what most people nowadays call a “smokeshop”) back in 1910 by a man named Alfred Dunhill. Their pipes were for many years considered the standard against which all others were judged, and even today, while some argue that the quality is not as good as before, their pipes are still eagerly sought after by collectors. But as I said, some Dunhill aficionados are quite fanatical about this brand, and can get rather obnoxious if someone dares to impugn the reputation of their beloved Alfred, especially on a Newsgroup such as A.S.P. And so I wrote a fictional “news” post about how Alfred Dunhill had been exhumed and put on display in the shop. A lot of people liked it. The Dunhill fanatics hated it. The remarkably well preserved remains of Alfred Dunhill were recently exhumed and put on display at the Dunhill Shop in Duke St, London, as part of a publicity stunt aimed at increasing foot traffic into the store. The company claimed that Alfred had actually come back to life and was ready, willing, and eager to once again serve his customers “after the time honored Dunhill traditions of superior products and really, really, extravagant pricing structures”. At first, this seemingly misbegotten scheme worked astonishingly well. Dunhill’s customers were amazed and delighted at the idea of old Alfred come back to life, and engaged him in several fascinating conversation on such diverse topics as the afterlife, the Conservative Party, and just what the hell was he thinking when he created Royal Yacht. The manager, smelling a marketing coup in the making, even hinted that it was the wonderful restorative properties of Dunhill tobaccos that had something to do with Alfred’s sudden miraculous resurrection. 1. Alfred would become strangely uncommunicative, downright sullen really, whenever the manager nipped out to the water closet or took a sip of his tea. People were at first inclined to attribute this to his being unused to the company of the living after having been dead for so long, until the next inconvenient fact manifested itself:2. A rather peculiar smell began to emanate from Alfie’s corner of the room that could not be attributed to anything else in the store, not even the open tin of Royal Yacht. Smelling a rat, among other things, customers loudly insisted on more solid proof of Alfred’s rejuvenation, perhaps answer some questions while the manager drank a whole cup of tea. The ensuing row was overheard by none other than Graham Chapman, the pipe smoking member of Monty Python’s Flying Circus, who happened to be in the shop that day, and who immortalized it in his “Dead Dunhill” sketch. Sadly, Dunhill got wind of this, and to avoid a lawsuit, Chapman, while leaving the dialogue almost entirely intact, changed a few minor details to hide the true inspiration for the sketch, and so the the “Dead Parrot” sketch was born. The “Dead Parrot” sketch, of course, went on to become one of the troops most famous bits of lunacy. Most people are naturally unaware that the shopkeeper’s famous line, “He’s not dead, he’s stunned” was actually taken verbatim from the ensuing argument Chapman had with the Dunhill manager after Chapman blew a cloud of Royal Yacht smoke directly into Alfred’s face in an attempt to provoke some reaction from the supposedly resurrected founder. A Boston University Physician exposes the fallacies of the anti-smoking movement. Everything you want to know about the movies of today and yesterday. One of my favorite websites. If you love classical music, you have to visit this site. Who knows where the time goes?